Buy your Powerball tickets and check Powerball results online right here. 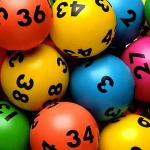 Thursday night Powerball may at first seem the most difficult of all Australian lotto games to win, however, using correct investment strategies and combined of course with a little luck, the game is quite simple and enjoyable to play. Our Thursday Powerball Guide will help players determine the primary rules of the game and the different modes available for play. As of April 2018, a change was made to the way Powerball is played. The new Powerball game matrix requires a player to select 7 numbers between 1 and 35 and then 1 Powerball number between the numbers 1 and 20. To win Division 1 under the new rules, the player must match all 8 numbers (ie: the 7 winning numbers plus the powerball number) as drawn by authorised government Lottery officials during the draw. This additional winning number has created a 9th Division prize when successfully matching 2 winning numbers plus the Powerball on your powerball ticket. A basic or ‘Standard’ Powerball game is played by choosing seven (7) numbers from a selection of 1 to 35 and one (1) Powerball number from a selection of 1 to 20. Eight (8) numbers are randomly selected by lottery officials in the Powerball draw, comprising seven (7) winning numbers and one (1) powerball number. If your (8) numbers match the first six (7) numbers and (1) Powerball number as drawn out by the government officials, then you will win or certainly share in the Powerball 1st Division prize pool. You may also choose to play a ‘Multi-week’ entry where you can use the same numbers for weeks, months or even years in advance, which is not only the most convenient way to play, but it will also ensure that you never miss putting your Powerball entry in again. Just imagine if your numbers were drawn on a Thursday night when you’d forgotten to buy your powerball ticket! Then there are ‘Systems’ entries where a player can choose more numbers per game than the standard (7), thus increasing their chances of winning. Due to the effect of requiring all (7) winning numbers and the (1) powerball to win this form of Lottery, Powerball is a game that often Jackpots quite significantly, sometimes even up to and over $50 million for the 1st Division prize pool. From March 2013 to April 2018 Powerball was played by selecting 6 winning numbers from 1 – 40 plus the 1 powerball from 1 – 20. When Can I Play Powerball? For NSW Lotteries and its resellers, the draw happens weekly at 8:30pm (AEDT). For Tattersalls and Golden Casket, the draw is at 7:30pm (6:30pm during DST), but the results are generally available by 9:00pm (AEST). But just to make sure, you should check your powerball tickets to see when your individual state game is drawn. Draw closing times are pretty much the same for most states ie: Thursday at 7:30pm, but for SA Lotteries in South Australia, the draw actually closes at 7pm and for online tickets it closes at 6pm (AEDT). How much does it cost to play Thursday Powerball? Tattersalls have their own price list. For Lotterywest prices click here. 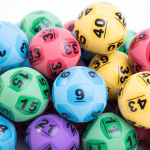 The South Australian or SA Lotteries price list can be seen here. For NSW Lotteries, their minimum price is 50 cents a game. After determining the Lotto game you want to play, you can then choose your own preferred numbers or randomly computer generated ones right here. Firstly is the “Standard” entry, where you select seven regular numbers from 1 to 35 and a eighth number, your Powerball, from numbers 1 to 20. The minimum number of games is 4 and you can play from 4-18 standard games per entry. 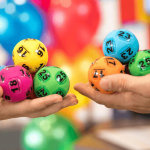 The lottery company will draw seven winning regular numbers from a barrel of 35, and then the winning Powerball from a separate barrel containing just 20 balls numbered 1 to 20. If you match the right combination of 7 numbers and the Powerball, you will win! The second option is to play a “Multi-week” entry where you can use the same numbers for as many weeks, months or years ahead as you prefer. This is without doubt the best way to play, because it ensures you never miss getting your Powerball entries into the draw. No one wants to see their numbers come up on a night where they forgot to put their tickets in! The third option is a ‘Systems’ entry, where you can choose more numbers per game than the standard (8) and although a little more expensive than a standard entry (depending on the amount of numbers selected), buying a system entry can significantly increase your winning chances. Click Here to Purchase your Powerball tickets online. The American version only has 39 Powerballs to numbers choose from, whilst the Australian has 35. Prizes are paid in lump sum in Australia, whereas American winnings are paid in instalments each year. American prizes are taxable, whilst Australian prizes are tax-free. Powerball provides somewhat better odds when it comes to winning because of its eight divisions, but as a result its first division can be more difficult to win than other forms of lotto games. Powerball’s largest first division prize in Australia so far has been for AUD$80 million, which was won and split between by two players on July 30, 2009. The largest Powerball jackpot was equalled on August 9, 2018, with $80 million for draw number 1160.